While the whole editorial staff contributed to our 2012 awards, we wanted to allow everybody the opportunity to publicly name their personal top 10 games of the year. While many did play the majority of releases in 2012, please remember that unlike our main awards, the editors are not naming the *best* games, but their personal favorites out of the selection they played. I’m not a particularly large fan of the series, as I really only enjoyed the first two games in the franchise, but Halo 4 took me by surprise. 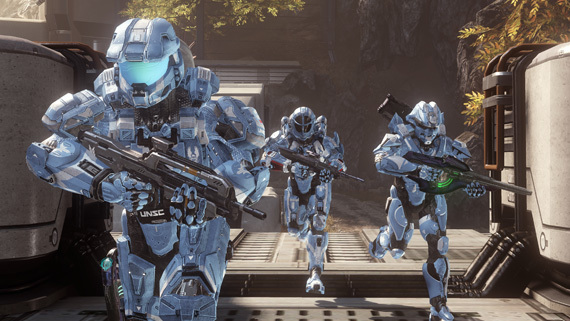 Not being a competitive gamer certainly contributes to it, but something about Halo 4 grabbed me and didn’t let go. Very few games have me playing hours of multiplayer, even when my KDR is quite low, and there’s just something about the gunplay that feels right. 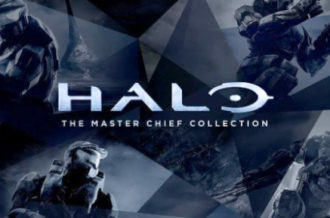 The main campaign also helps, as there are more cinematics and story driven plot points than past Halo games. It was something I felt intrigued to see through because I finally felt invested in Master Chief and Cortana’s story. 343 Industries has taken hold of Bungie’s torch and is running with it at full speed in the right direction. 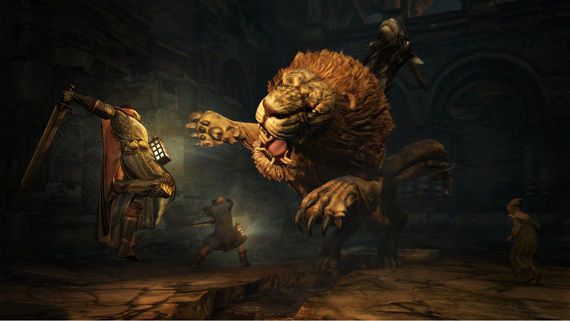 Dragon’s Dogma took me by surprise. When it was first shown, I thought it looked like a generic third-person RPG that Capcom was trying to capture the West with. It turned to be so much more. Filled with many mythological beasts and a vast world to explore, it was exciting to see what was going to attack you next. It doesn’t come without its flaws, but its overwhelmingly enjoyable combat system overshadows those greatly. Grasping onto a griffin just before it sets sail into the sky, and you driving a blade into its back, is pure satisfaction. Now all we need is proper cooperative play and we have ourselves a potential game of the year winner. Being a Canadian, I’m accustomed to the frigid temperatures and flaky snow. So why would I ever want to see even more snow? Because SSX is in deep with it, that’s why. I have so many fond memories of the PS2 games that I couldn’t tell if SSX was a good game at first. 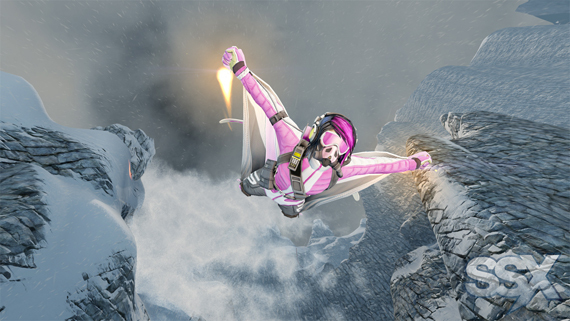 After jumping off a two hundred foot drop, doing ten back-flips and landing perfectly as if the snow could take the impact for me, I quickly realized that this game was magic. Mix in the RiderNet that tracks all your friends’ progress and you have a surprisingly competitive and frantic snowboarding title that’ll more than likely continue playing years after its release. Tra-tra-tra-Tricky. 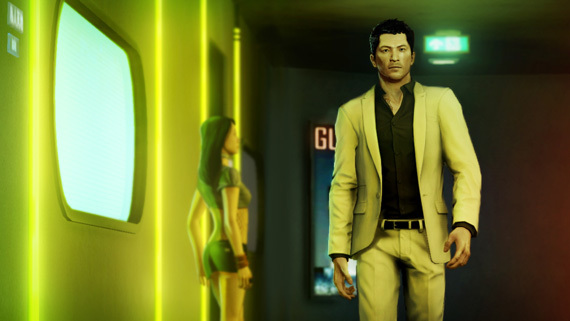 Getting out of Activision’s bubble was probably the best thing for Sleeping Dogs because having the True Crime name may have weighed it down. 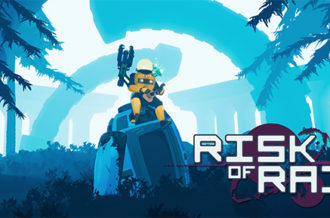 Square Enix was right in picking this game up as the Vancouver-based studio, United Front Games, has done an amazing job in creating an open world title full of life that refreshingly lacks emphasis on weaponry. It does have its issues with some throw away characters, but the story and overall combat makes this a beautiful and unique experience. Drop kicking a random pedestrian or throwing them over a railing into the ocean is sadistically satisfying. Life in Hong Kong has never looked so good, even for an undercover cop. If you told me Mass Effect 3 would be out of my top five prior to its release, I probably would have laughed in your face. This is one of the few universes I’ve felt attached to because of the deep and charismatic cast of characters. Who cares about saving the universe when I can learn more about Tali’s pilgrimage or Liara’s mother? The problem with the third game is that it feels more rushed than the previous two. Significant plot points were made into downloadable chunks, and the whole controversy with re-clarifying the ending didn’t help. 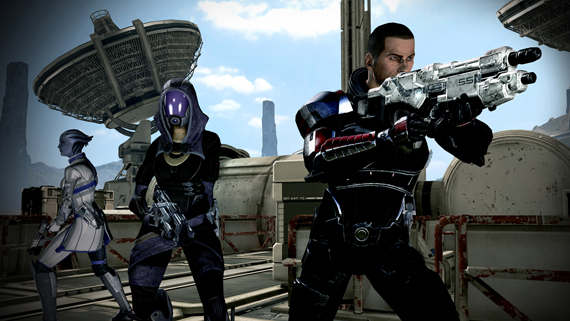 That isn’t to discredit Mass Effect 3, though. 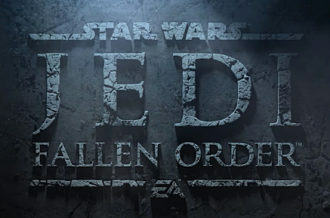 While it feels as if Bioware was short on time, it’s still on my list because there are a number of memorable moments that still stick in my mind, not to mention a cooperative multiplayer mode I sunk many hours and dollars into. 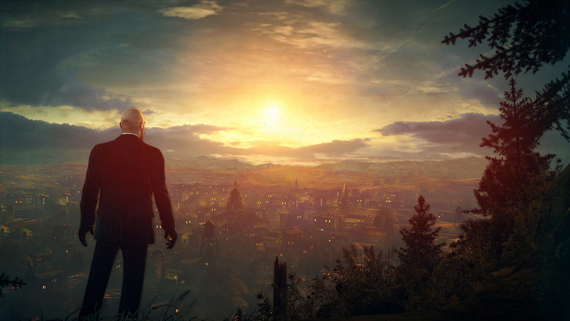 While it may feel like a step down from Blood Money, Hitman: Absolution is still one of the best games this year, featuring a whole slew of ways to dispose of your targets. It may be a little bit more linear in the sense that there’s a coherent story, but each area has many ways to approach a situation and almost creates a virtual open world setting. It certainly helps that the game looks absolutely gorgeous and features a variety of areas to visit, from a dingy motel to a giant hidden research facility. There’s just something about sneaking around and perfecting each mission without firing a bullet that’s exceedingly rewarding. Don’t let my list deceive you; 2012 was the year for smaller downloadable titles. Fez, Journey and Trials: Evolution are just a few examples, but Mark of the Ninja stands on top of the list. 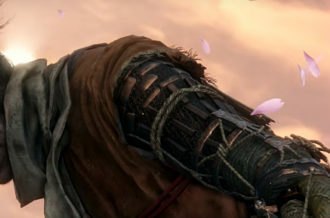 Who would have ever thought a smaller game could capture the stealth mechanics people loved in the last generation of gaming, plus add to it? It was as if Shinobi merged with Splinter Cell, creating a dark and murderous adventure that actually had an interesting twist at the end. 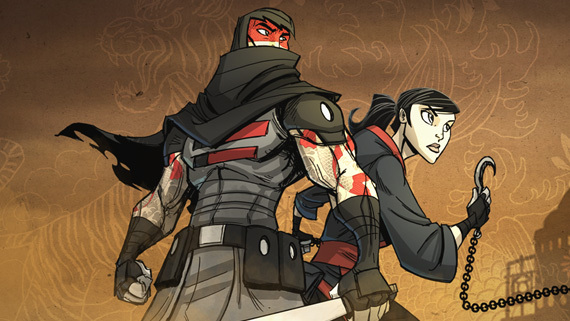 I almost hope for a sequel, but at the same time, want Klei Entertainment to preserve Mark of the Ninja as a classic that doesn’t need to extend on its fiction. I do, however, hope the developers don’t abandon the stealth mechanics and looks to refine what has turned into a more action heavy genre. 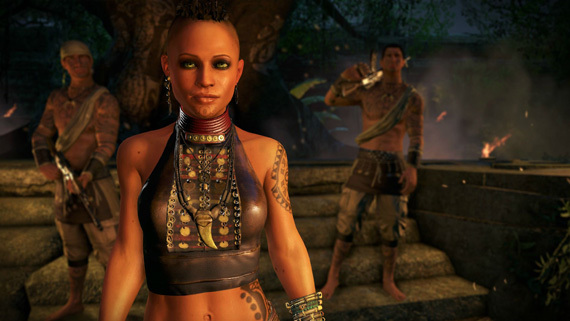 If you asked me about the Far Cry series prior to December, I probably would have shrugged my shoulders. The first game is a distant memory, the second installment gave me nausea after long sessions, and while playing the third at E3 caught my interest, it didn’t show anything that would make me run for my wallet. After sitting down and playing the game for countless hours, you realize how much there truly is to do in this world. This is without doubt the best hunting game ever conceived, with some of the best stealth mechanics to boot. It’s strange how Ubisoft released it, putting it out in early December, but you can tell this isn’t just something they wanted to shove onto the market. It’s an experience well worth having if you have twenty to forty hours to put in. I would’ve never thought an adaptation from alternative media, whether graphic novel or film, would make it this high in my top ten list. 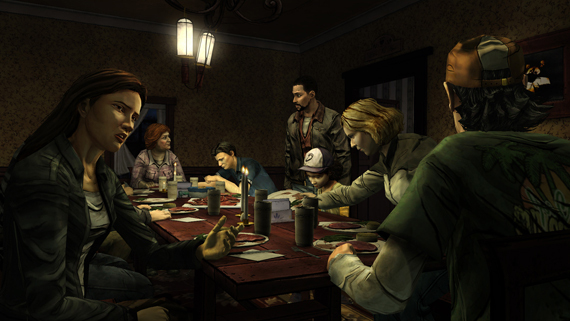 The Walking Dead has broken expectations in mixing traditional point-and-click adventure mechanics with a strong narrative and exponential character development. I don’t remember any game that has dropped my jaw so many times and left me completely stunned and silenced by the sickening plot twists. 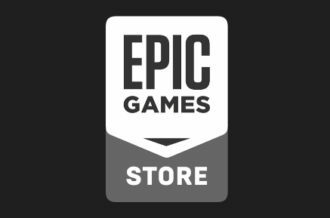 It’s an incredibly accessible game anyone and everyone should play, featuring a stronger emphasis on story while maintaining reasonable gameplay systems. Telltale Games has created one of the best games this year, something no one could have expected, especially after their wildly disappointing Jurassic Park attempt. 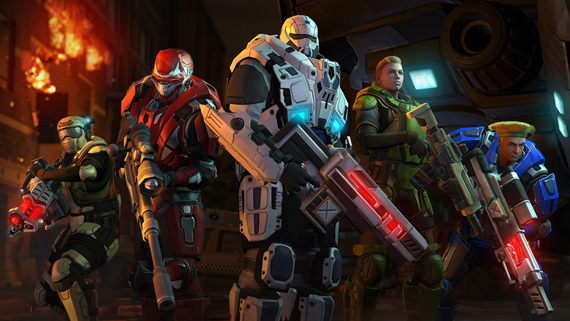 For my game of the year, I was debating between this and The Walking Dead for over a week until I realized just how much extended playtime XCOM really offers. I was never much of a PC gamer back in the day, so I didn’t get to experience the UFO/X-COM games first hand. Fortunately, Firaxis has brought an experience resembling that of the original to the modern age. Being the strategy RPG fanatic that I am (enjoying series such as Disgaea, Front Mission and Final Fantasy Tactics), Enemy Unknown clicked with me almost instantly. It’s an incredibly deep and unforgiving experience that you might need to restart if you’re not careful. It’s amazing how attached you become to relatively generic characters you’ve created, and want them to stay alive through the entirety of the story – just don’t name them after friends and family, otherwise the memorial at your base will look a whole lot more grim. Congratulations to Firaxis Games in creating the best game of the year (in my opinion).